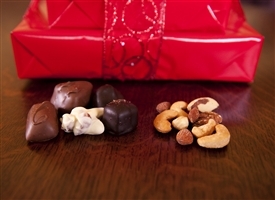 One pound of Jumbo Mixed Nuts AND 2 pounds of ASSORTED CHOCOLATES (approximately 60 pieces) make up this fantastic gift package for your important contact! Get an assortment and no matter what you will have a roomful of happy recipients! We gift wrap them and attach them with a nice ribbon, and attach your greeting message. Then we ship these to your recipients via Postal Priority Mail! Just send us the "greeting message" and your list of addresses and your client, customer, employee, special someone will be thrilled! You will be sure to hear from them and what's even better is that the gift will stand out in the mountains of fruit baskets they are accustomed to! Specify in the drop-down menu whether you want Milk (recommended) or Dark or Mixed chocolates! 3 1/2 LB. 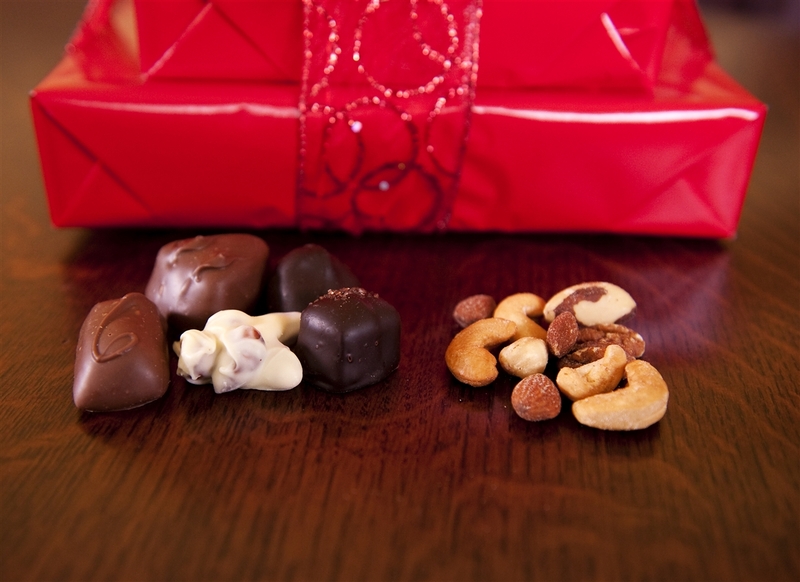 Gift Pack of Buttercrunch and our Grand Assortment of Chocolates (Price includes shipping!) 4LB Gift Pack of our Nut Bark, Creamy Fudge and Mixed Nuts (Price includes shipping!) 20 Pack of our 1 oz. Bark Bar Custom Mold Fee- Small mold 1-3 oz.